I&#39;d ask &quot;why so many Borderlands cosplayers? I'd ask "why so many Borderlands cosplayers? ", but really, I think the results constantly speak for themselves. 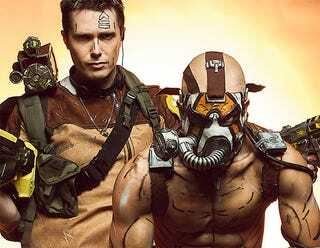 Psycho Krieg is, belive it or not, the very handsome Leon Chiro, while Axton is Philippe Lauby. Photo by Shudan.